If you’re not attending ZAP this weekend in SF, and if you’ve ever wondered how wine gets into the bottle, or if you’ve ever wanted to be involved in bottling wine or experience the workings of a winery, tomorrow is your chance if you RSVP now and can get to Cantara Cellars in Camarillo in the morning! Instead of having their own on site and very expensive bottling facility, many wineries bottle via a portable bottling truck or by contracting out for bottling to a larger facility. The mobile bottling system from Mission Bottling can complete a case of wine every 15 seconds! Starting at 8am and continuing until 4pm, you can get your zinfandel on and join in the bottling fun, and help by putting labels on bottles, then bottles in cases, and other easy tasks. You must RSVP (805) 484-9600 and pay $20 at the door. In return, you’ll have a fun time and receive a glass of wine, lunch, and a bottle of wine to go! Such a deal! Knowing wine maker Mike Brown, I bet if it isn’t too crazy and you ask nice, you’ll get a chance to taste some of the other wines in the barrel (so fun!!). After your hard work bottling or shopping or just being out and about along the 101 corridor on the northern edge of Camarillo (126 N. Wood Road #104 Camarillo CA 93010), plan on relaxing in the tasting room and maybe pick up your own “Will Work For Wine” shirt. While there you should be sure and taste their new release “Trio Sonata.” If you suspect it’s a GSM you’re almost right: it’s got syrah, and grenache all right but instead of mourvedre, this release has petite sirah. I can’t wait to try this bottle and pick up one for myself! (Hmn wonder if I can pull blogger’s privilege and get one for tonight to go with the duck we are roasting! More on duck in a post soon!) I’m going to try to make it tomorrow and if so post some photos and tasting notes. 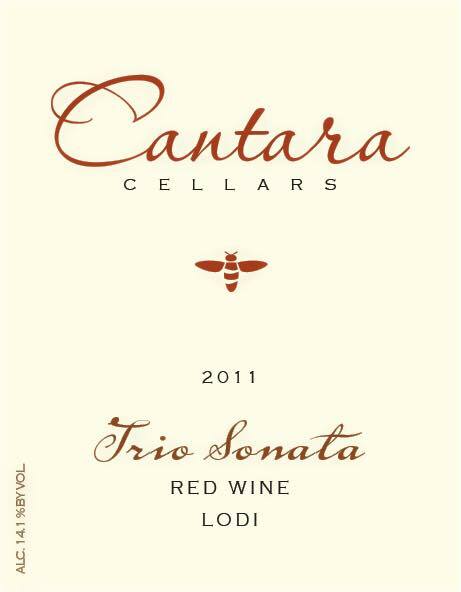 Learn more about Cantara Cellars. February 12-16 Valentine’n Wine Passport Weekend featuring 11 wineries including Camarillo Custom Crush where you’ll probably be able to taste several wines by different wine makers using the facility. More info and tickets here. Tickets are $50 and good for five days of tasting giving you plenty of time to savor the experience of the central coast in Ventura County. In addition to whale watching and shopping at the outlet malls, downtown Ventura is fun to stroll around with lots of great restaurants, or walk from the end of the pier to the Cross through the Botanic Garden. Yummmmm. Too bad I’m no longer in Southern California! yes we are fortunate that they let us help at Cantara! 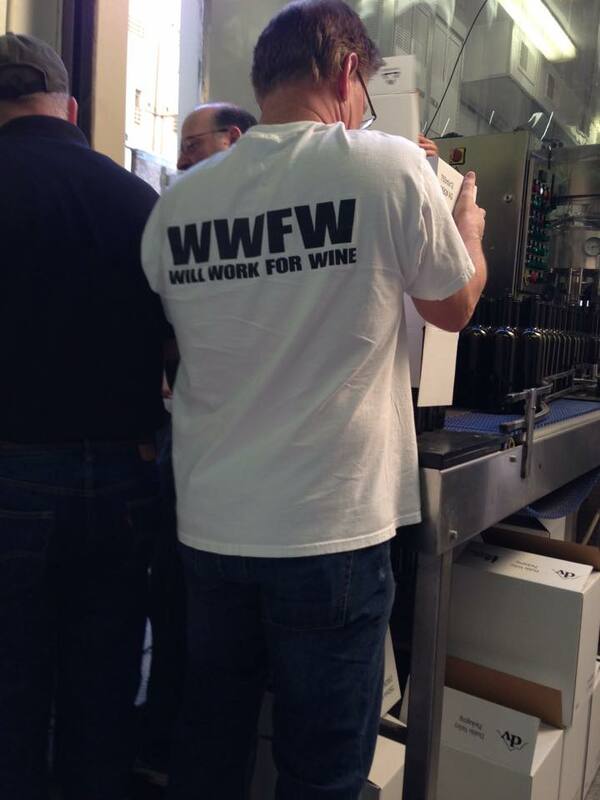 Will you work for wine? If so, give Cantara a call! Thanks for the heads up on the bottling, Gwendolyn. I visited Cantara Cellars today and caught Mission Bottling and the willing wine workers bottling wine. You can watch my short video on http://tinyurl.com/CantaraBottling. great! how fun! I’m sorry I missed it!